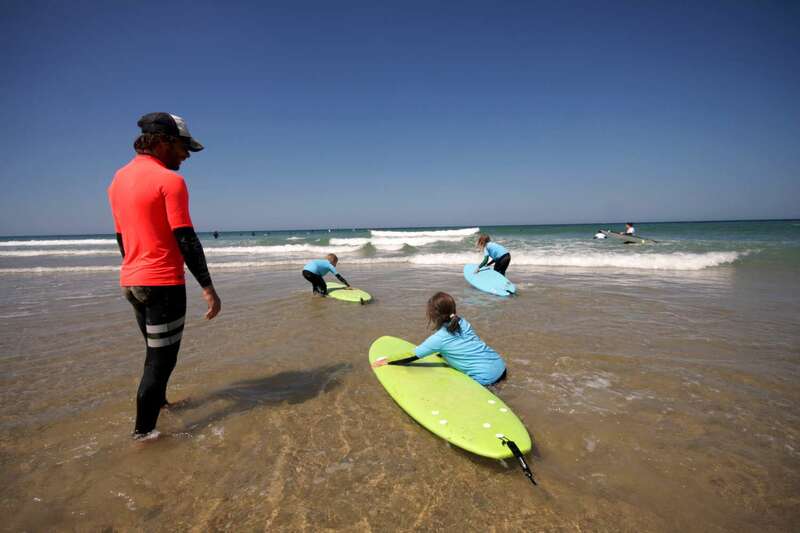 Family surf camp in France for adventures families that like great accommodation, healthy food and loads of activities. We are located on the French Atlantic coast in the heart of the best vineyards in the world. With being aware of how important having a great family time is, we are more than happy to welcome each and every member of your family to come and experience the best-for-all vacation ever! 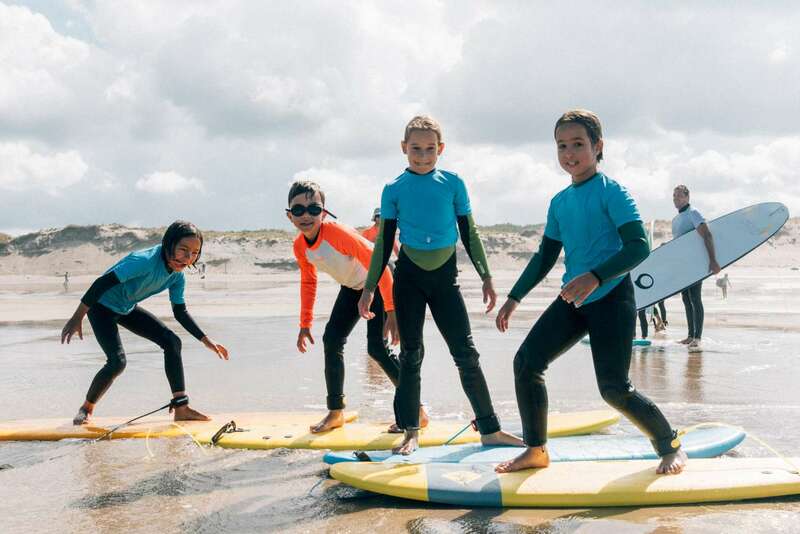 Surfing classes are shaped differently for children and parents but share the same mission – learn how to move on a surfboard. 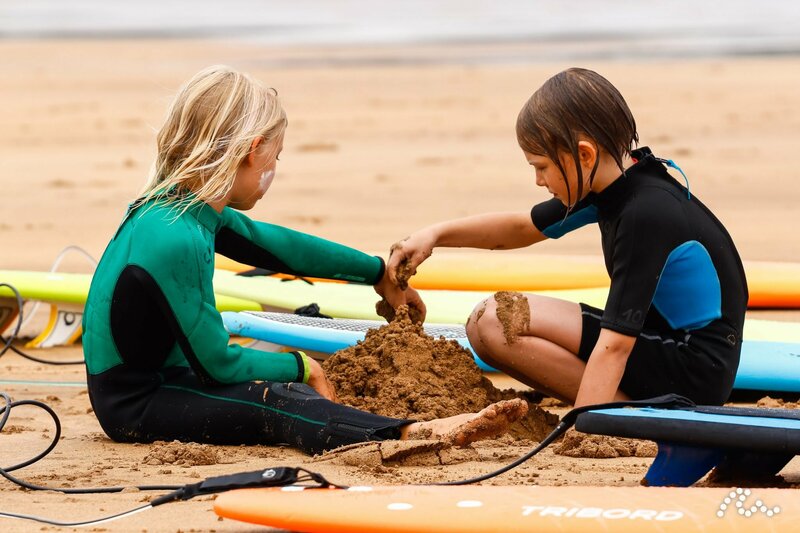 For all children that are under 7 years, we organise a surf kindergarten, so parents have a peace of mind while surfing, enjoying easy beach life, having a glass of a great Bordeaux wine, practising yoga, going for a run or just having some simple spare time for themselves. 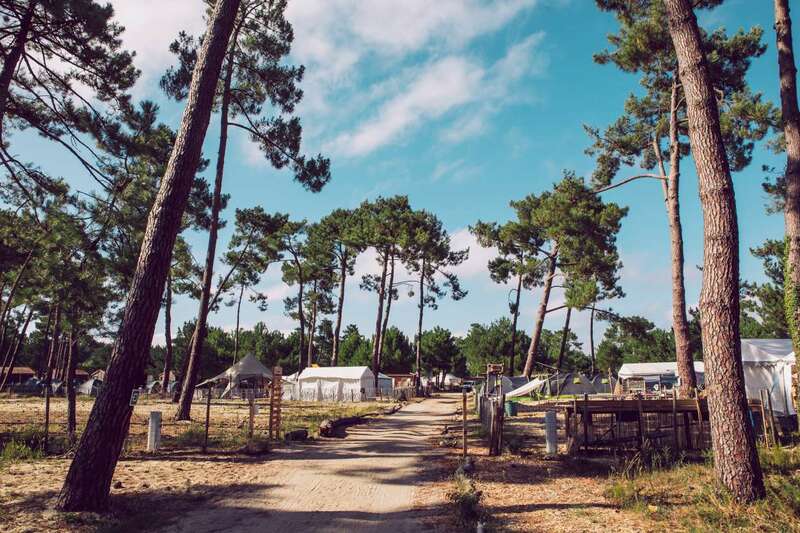 Our Montalivet camp with its TIPI tents village is one of a kind in terms of camping experience and will definitely take you back to the childhood! The large area surrounded by pine trees is best suited for families, couples and 25+ individuals who are seeking more comfort for themselves on one hand and a pristine nature filling on the other. 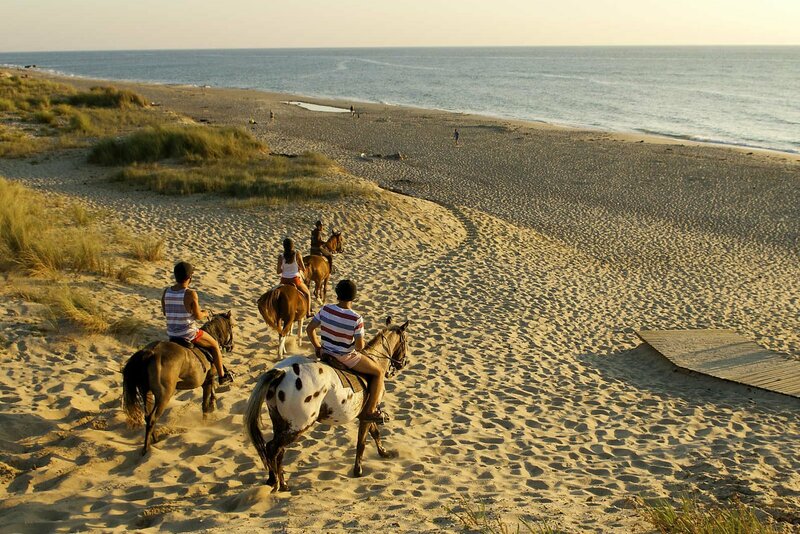 The resort area is 700 m away from the sea and about the same distance from the town of Montalivet. The small, charming town is filled with the local market, bars, surf shops, and restaurants. The whole area of the Pine beach resort is equipped with bathrooms, showers, volleyball court and so on. 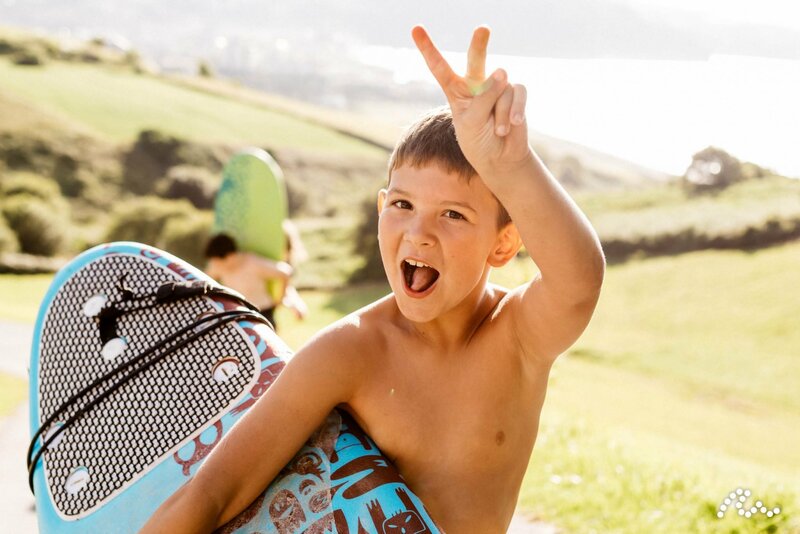 We have a wide range of surfboards to choose from, so we can find the right one for you and your youngsters. The wetsuit and surfboard are yours to use all through your stay at our camp. 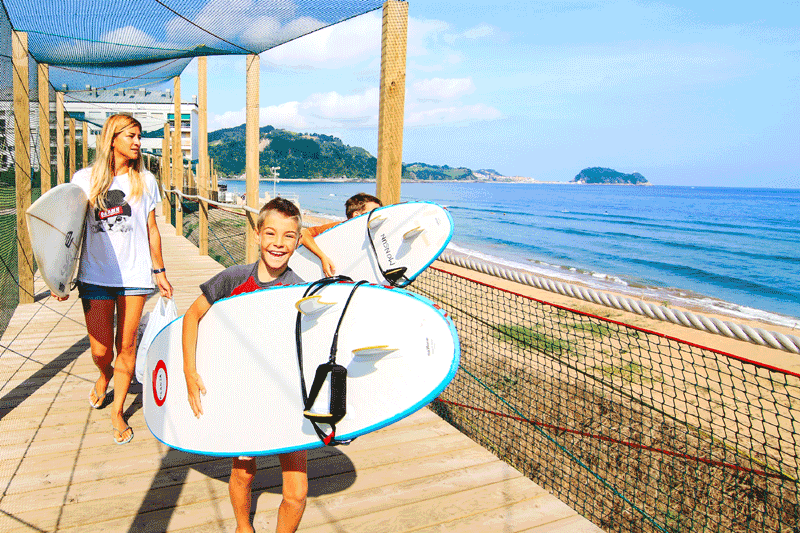 Ujusansa Surfing School has two important goals performance and personal satisfaction. Our licensed surf coaches will adapt to your level regardless if you are a complete beginner or you already carve the waves. Safety is taken very seriously and all our instructors have a valid license and lifeguard course. With our surf coaches, you will first learn the surfing’s theory and, most importantly, spend a lot of time in the Atlantic ocean. 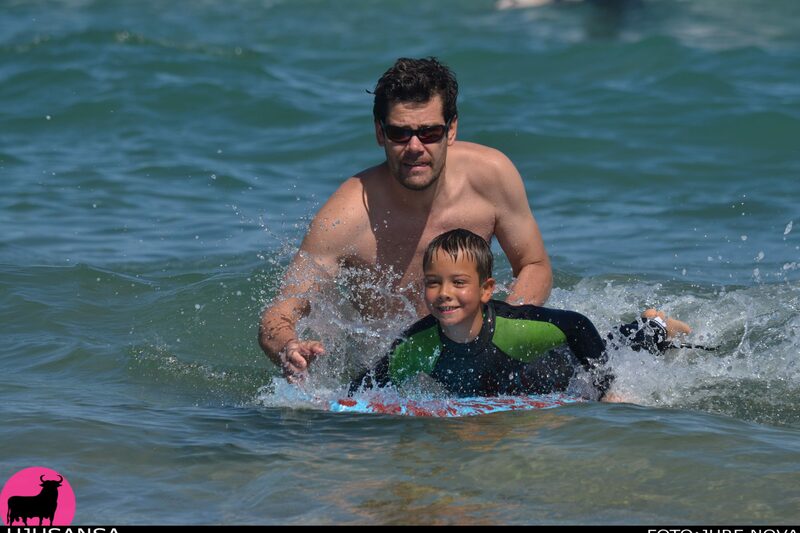 During one week in the summer we organize adaptive surfing courses. Activities include one hour of physical therapy daily and adapted surfing lessons to ensure rehabilitation is as fun as possible. 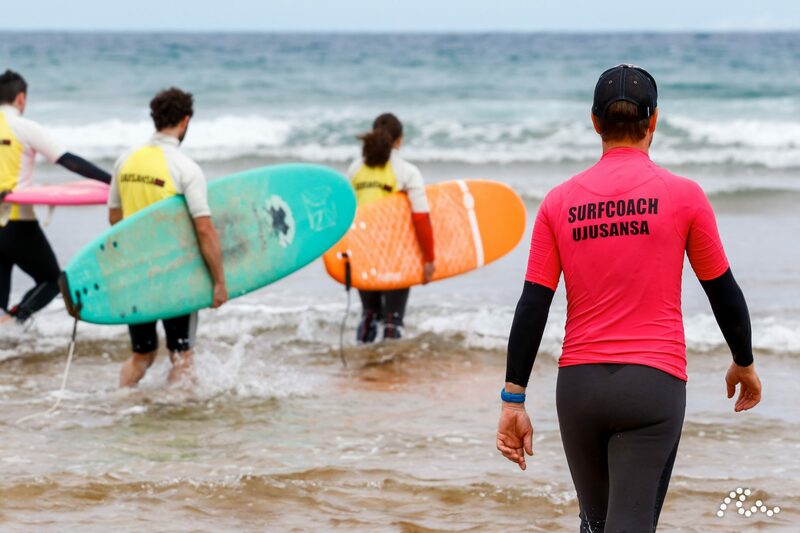 Surf lessons are delivered by our best surf coaches. We will present surfing, waves and the ocean to you and your children: you will learn everything about equipment, water movement, standing on a surf board and power of the ocean. Once you catch your first wave, you are hooked for life. We are a Family surf camp and we customise your holidays in a way you get the most out of the surf experience for your needs. 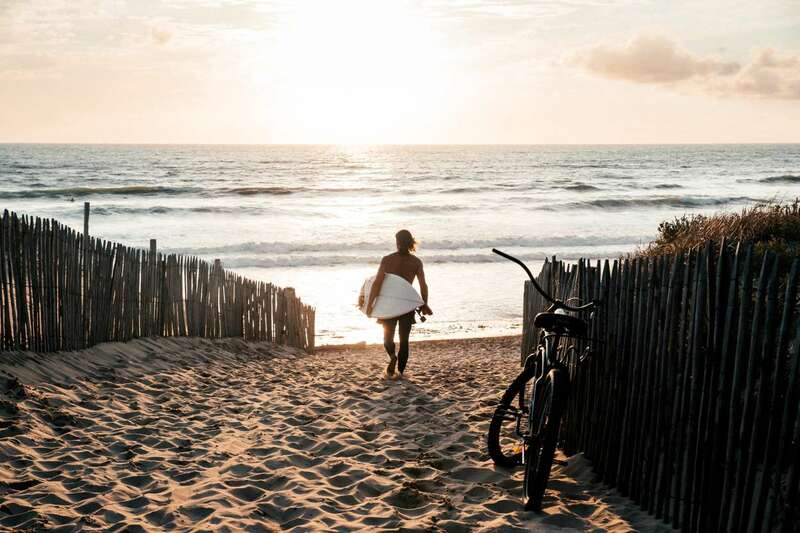 Surfing is not only something we do for fun or work, it is our way of life and we are here to introduce you to how to live surf life from the inside out. Our Surfing school has two important goals performance and personal satisfaction. Our licensed surf coaches will adapt to your level regardless if you are a complete beginner or you already carve the waves. Safety is taken very seriously and all our instructors have a valid surf license and lifeguard course. With our surf coaches, you will first learn the surfing’s theory and, most importantly, spend a lot of time in the Atlantic ocean. Yoga as a way of life is an essential part of what we do and what we are. 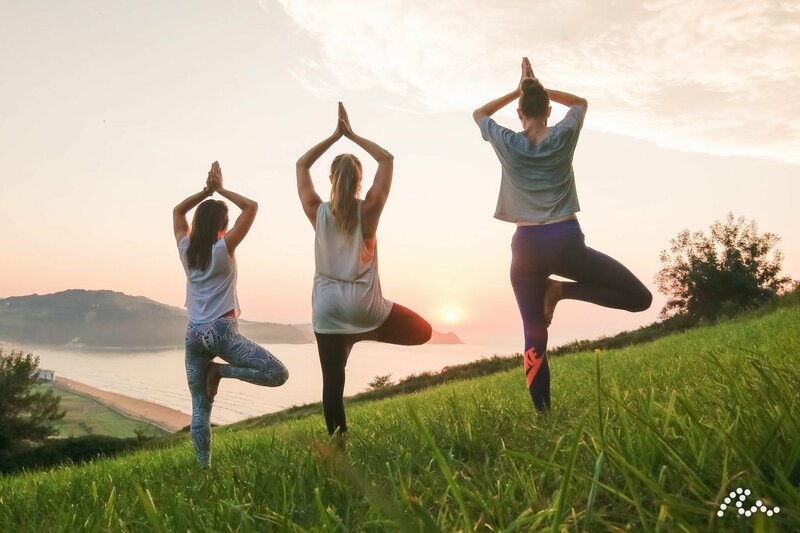 We are dedicated to the core of what we perceive yoga truly is – a very powerful tool that helps you to unchain from the mental activities that rather cause you more stress than happiness and stillness of your mind. Our practice is held twice a day – morning and evening. The main aim is to physically and mentally prepare you for the surfing classes and relax you after them. Our classes are combined practices from Hatha, Vinyasa Flow, and Yin yoga and we adapt each class to your need. Our yoga teacher has 15 years of experiences in practicing different styles of yoga, has the RYS 500 yoga alliance certificate, and is constantly developing her own teaching techniques but also learning from other worlds best-known teachers (Janet Stone, Shiva Rea, David Swenson, Simon Park, …) by attending different workshops. We strive to help you to individualize your own yoga practice in a way you will feel completely safe yet empowered to release your body from any tension or on the other hand, become able to strengthen your body and so maximize your everyday movement performance. Classes are available for everyone – complete beginners to those who already practice yoga on a daily base, women, man, children (from 10+ years). Before the first class, we get to know each other a bit better to see what kind of a practice you really need in terms of your physical state and your expectations in general. We set the exact time of the classes on the day of your arrival. Sometimes we also organize some special daily workshops during summer, so feel free to check on us regarding that. 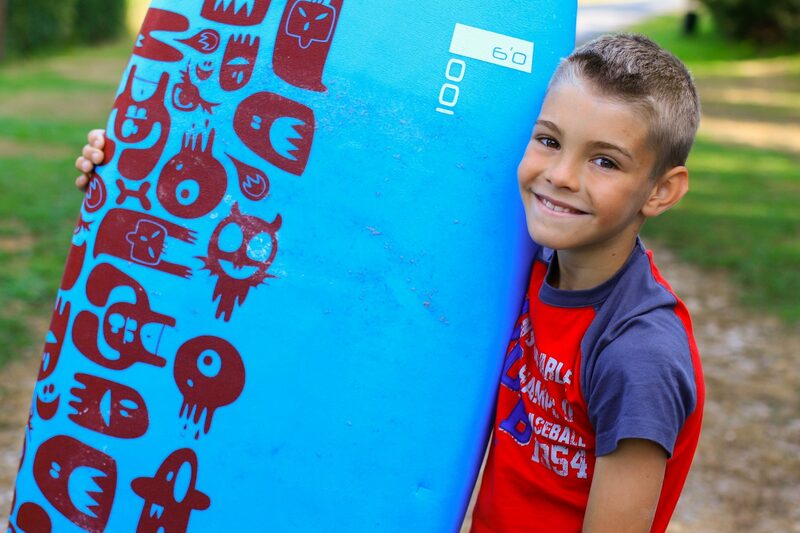 For all children that are 6 years and younger, we organize a surf kindergarten, therefore parents have a peace of mind while surfing, enjoying easy beach life, having a glass of a great Bordeaux wine, practicing yoga, going for a run or just having some simple spare time for themselves. We set the kindergarten schedule and tailor it to the group needs on the first day when you come to our camp. 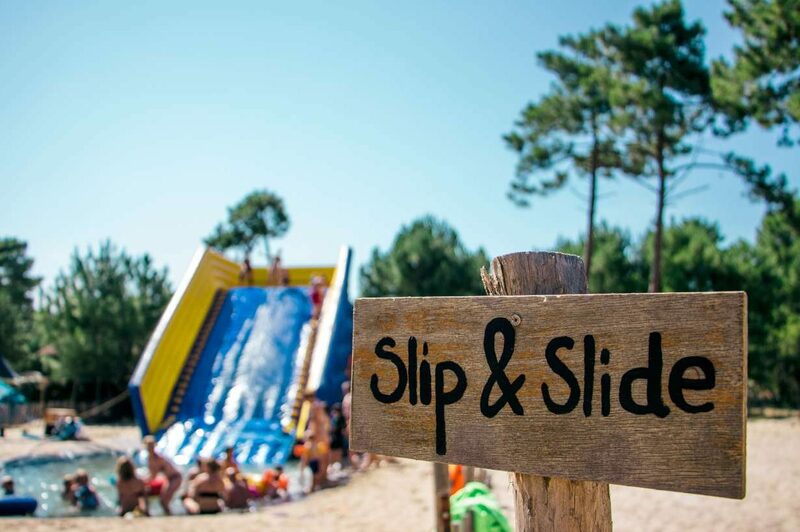 We are the Family resort and love to see children running and playing around. The whole place is one big playground itself as of the sand, surrounding the place. Kids love the place and are happy to find new summer friends. Our kindergarten is taken care of by our amazing trained professionals. We organize several activities that vary from sports oriented to artistic oriented ones. 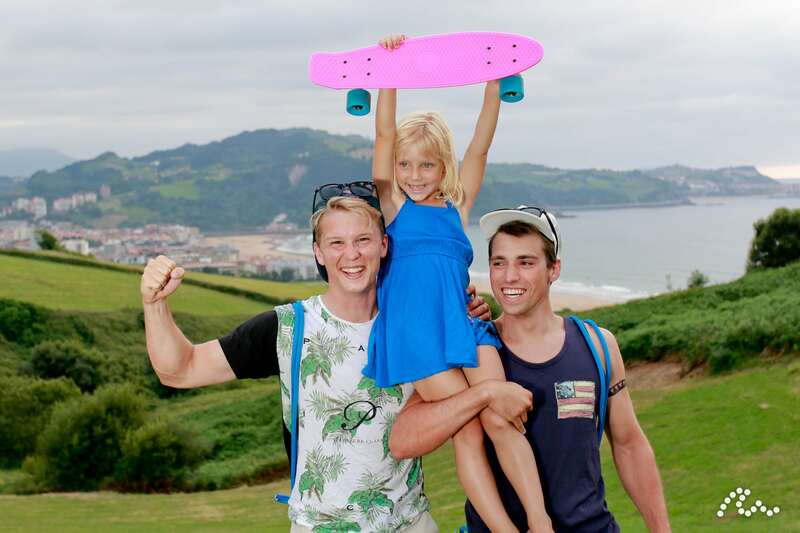 Our main goal is to provide pre-school children (not attending the surfing school) the chance to learn new skills, to socialize with other children. 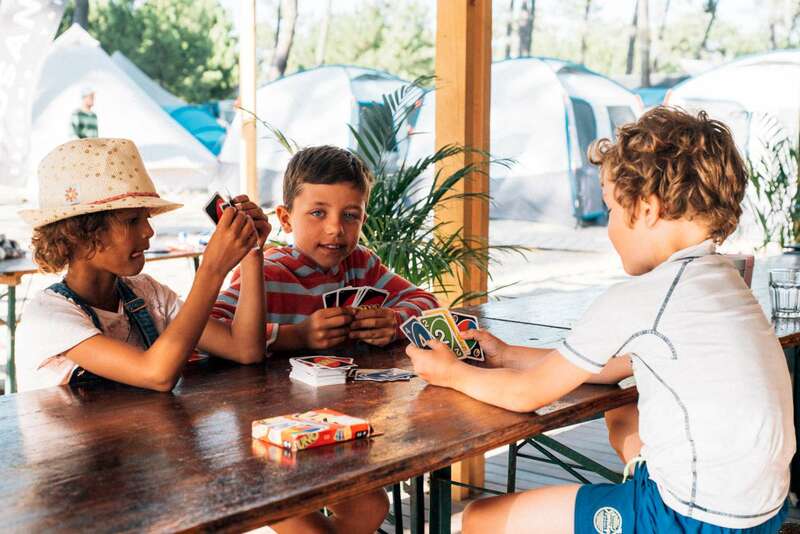 Children are connected through the group and stay inside of the resort, so its taken good care for their safety. 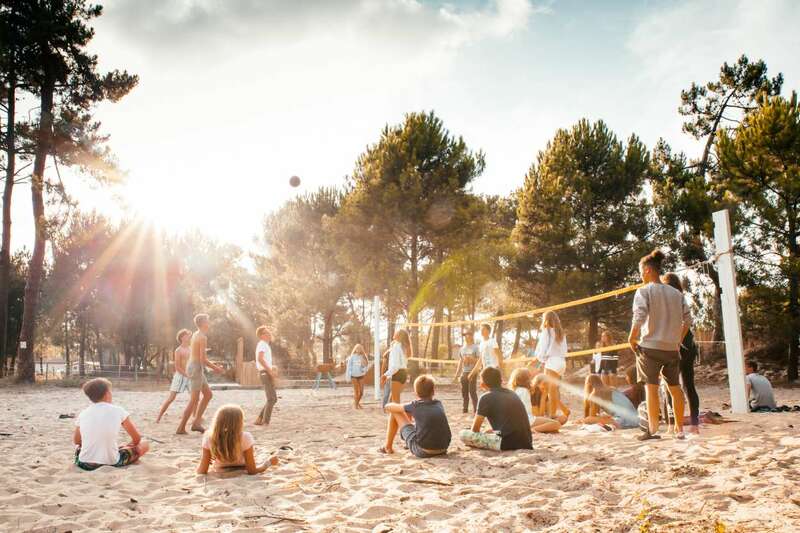 If any other activity out of our resort (going to the beach, …) is planned ahead, we consult with you and together we decide if & how we make this happen. There are two age groups, so we adapt the activities to the age of your children. If you have any special needs regarding your children, let us know in advance, so we have time to discuss those needs. Including their carers and friends. Activities include one hour of physical therapy daily and adapted surfing lessons to ensure rehabilitation is as fun as possible. 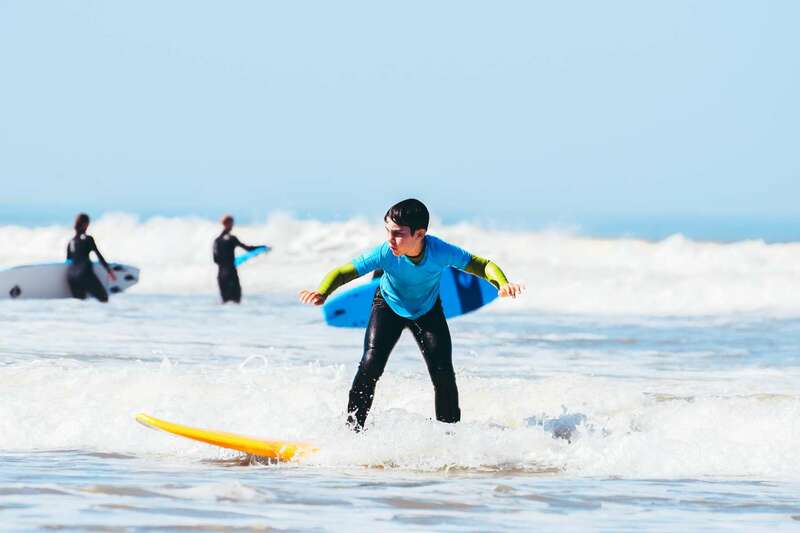 The positive influence of surfing on autism is also well documented. If you have any questions regarding the rehabilitation part or whether the camp is suitable for you or your child, please contact us. In the modernly decorated TIPI tents are comfortable sleeping beds. 1 double sized bed and up to 2 single beds and one crib/cot (if ordered). The tipi is equipped with basic living facilities (hangers, small storage places, rugs, lamps (yes, there is electricity in every tent), a small table and two chairs. 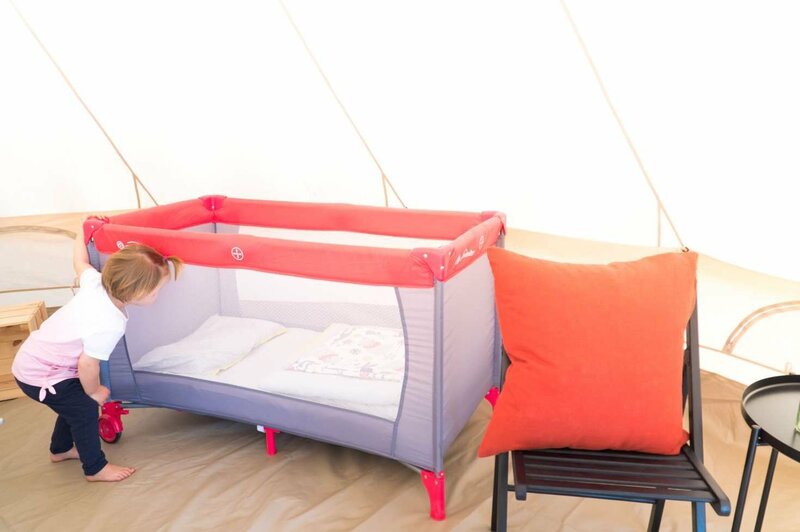 One TIPI tent accommodates to up to 4 people + one cot. For bigger families, there is an extra small tipi next to the big one for extra 3 persons to sleep. Full board and more. We serve 3 main meals per day – breakfast, lunch, and dinner. In between, there are several snacks available for you. Empower your surfing day in the morning by having a wide array of fresh fruits, muesli, freshly baked bread, yogurts, etc. served for breakfast. 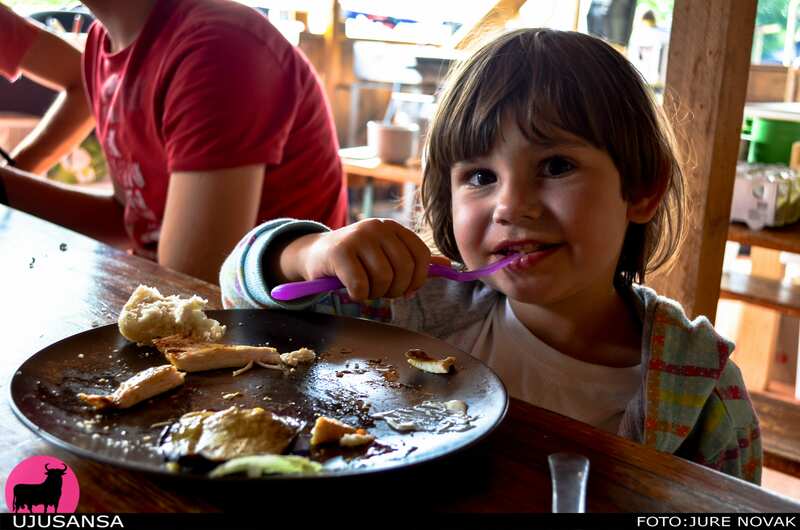 Lunch and dinner are a wholesome meal – containing lots of veggies and other various healthy food ingredients. We provide vegetarian and vegan options too. If you are flying to the region, the best way is to fly to Bordeaux or La Rochelle. From there its only an hour or so of a car drive to us. Take rent-a-car from the airport. 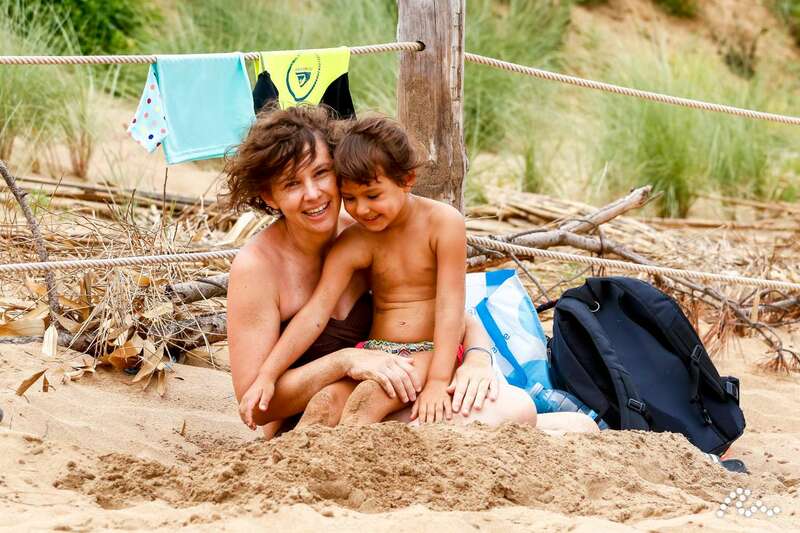 Are you coming with a car or camper van to our Family surf camp? Contact us to advise you for the best road trip option. TGV Trains in France are fast so you can conveniently arrive close to our camp. Take the train to Lesparre train station. From there we pick you up for free. If your desired week of Family surf camp is full or there is a waiting list or you just want to be on our list, please leave us your contacts. After that we will notify you as soon there is an opening. We start our Family Surf Camp on 15th June and end it on 7th September. A week runs from Saturday to Saturday. Check-in is after 16:00, check-out before 10:00. We deal with each family individually and this takes some time. We will exchange a couple of e-mails and then we will send you an offer. In order to book, you have to confirm the offer with payment. In addition, send us also an e-mail when you do the payment. We will confirm your booking and send you information for packing and organizing your holidays in our Family Surf Camp. Two weeks or more: 20% discount on the second week. Book? Questions? Plese fill in the form. 1. Do you offer childcare on site? We offer childcare for those children who are not attending the surf course. As a result, parents have their own surf classes. This service is included in the price and runs for 4 days for 5 hours. This is cost-free. Childcare at any other time and for any other reasons is possible, but additional costs apply. 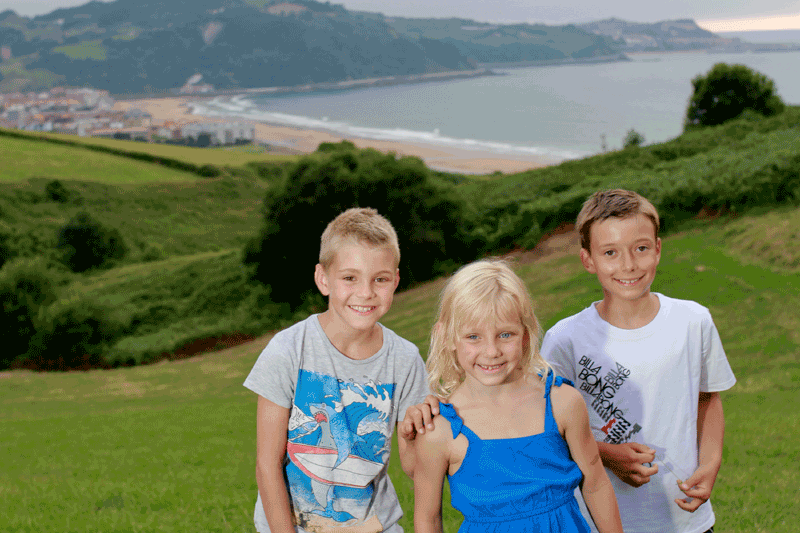 Please contact us if you are thinking about extra childcare and we help you arrange it onsite with our nannies. 2. How do you accommodate us? 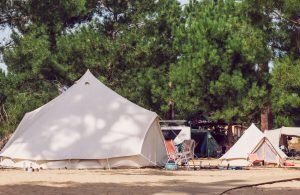 In our Family surf camp, we offer accommodation in cozy and modernly equipped TIPI tent accommodation: one double bed with all the bed linen & a set of furniture is included. We can put two extra single beds in one TIPI so that the whole family can sleep together if preferred. If you need a baby crib, we offer it for free. We can put you in one big and one small tipi, so the kids sleep in a small tipi. 3. 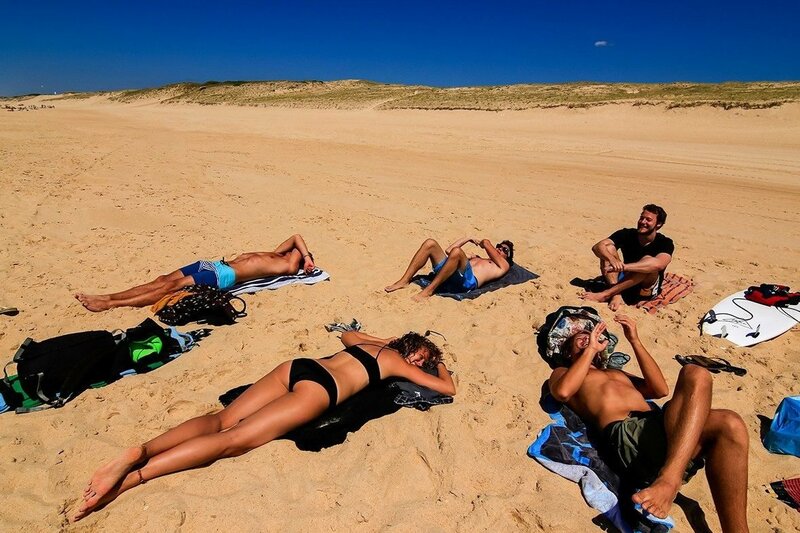 How to prepare for holidays like this? 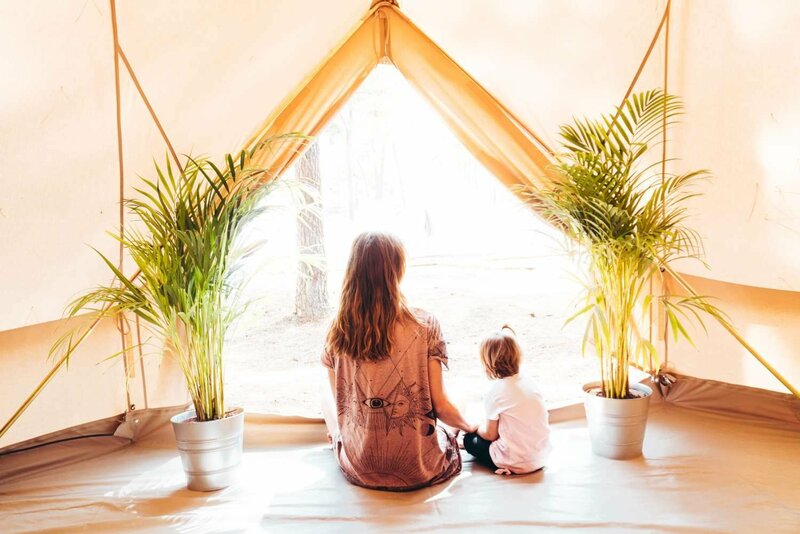 We invite you to read our articles about Glamping, Surfing, Adventure Family holidays and What to pack when you go on travel.